The EPA is in the process of posting everyone's comments. As of Monday, August 4, they have posted comments by Rick Kurkeet from Intertek Labs, Stuart Clark from Washington Department of Ecology and several anonymous ones. They can be found here and ours are posted below. The Alliance for Green Heat (Alliance), appreciates the opportunity to comment on EPA’s July 1, 2014 Notice of Data Availability (NODA) regarding the agency’s proposed New Source Performance Standards (NSPS) for wood heating devices. 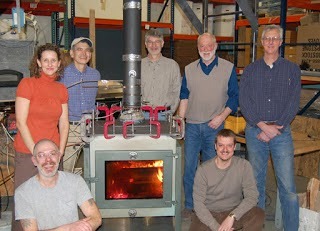 The Alliance is an independent non-profit organization that works with environmental and forestry organizations, air quality experts, the wood and pellet stove industry, and others in the wood burning community to promote high-efficiency wood combustion as a low-carbon, sustainable, local and affordable heating solution. The Clean Air Act requires EPA to review and revise, if appropriate, the NSPS at least every eight years. As we explain in the original comments we submitted on the Proposed Rule, the Alliance strongly supports EPA’s decision to update the standards for wood stoves and to require a number of previously unregulated wood heating devices to reduce their emissions. We also believe that the new standards, which reflect significant improvements in wood heating technology, are both appropriate and long overdue. We offer the following additional comments in response to EPA’s July 1, 2014 NODA. First and most importantly, it is imperative that, going forward, all stoves be required to complete a test at the lowest possible burn rate setting. The data released in the NODA provided a vital insight that few people know: 80% of non-catalytic stoves cannot be successfully tested at the Category 1 burn rate (0.8 kg/h or less). Under the current EPA test method, Method 28, these stoves have been allowed to test at the higher Category 2 burn rate, as long as they can successfully complete a test at 1.0 kg/h or less in Category 2. The possibility of avoiding testing a stove at the lowest burn rate—which is when emissions of PM and other toxics are often the highest—has apparently created a loophole that has incentivized some manufacturers to design their stoves so that they fail to hold a flame for a sufficient amount of time in Category 1, so that they can be tested at the easier-to-meet 1.0 kg/h burn rate in Category 2. If EPA finalizes its proposal to certify stoves based on only the highest and lowest burn rates, this potential loophole could become even more important. EPA should clarify in the final rule that all stoves certified under the new NSPS must be capable of being tested at their lowest burn rate, and that stoves that cannot successfully complete a test burn at their lowest rate will no longer be eligible for certification. This will still allow stoves to be tested at 1 kg/h but assures that the consumer cannot operate the stove at a lower burn rate. We are not opposed to allowing stoves to use a minimum burn rate of up to 1.15 for cordwood testing, but again, they must be successfully tested at their lowest burn rate. Otherwise, the proposal to raise the minimum to 1.15 kg/h could just enlarge the loophole of stoves testing at higher burn rates than consumers could operate them. Second, it has become abundantly clear in recent months that more and more manufacturers are using the K list to make minor changes in their stoves to ensure 5 more years of sales life before retesting. While the K list provides an important function, it is now being used to significantly delay retesting of what could be a majority of EPA certified stoves. One of the results of this is that manufacturers can avoid testing at their lowest burn rate and avoid releasing their efficiency data until 2019 for many or most or in some cases, all of their stoves. For this reason, we again urge the EPA to require that B415.1 efficiency numbers using HHV be submitted to the EPA within 6 months of promulgation. The data released in the NODA confirmed previous data sets, that the efficiency range of pellet stoves is far wider than wood stoves. These certified pellet stoves ranged from 62 to 80% efficient with a standard deviation of 8.5, double the standard deviation of non-cats and four times the deviation of cat stoves. Because of this wide variation of efficiencies, it is in the public interest to require efficiencies be released as soon as practicable. Manufacturers already have efficiency data for most or all of their stoves so there would not be any significant burden to them. In addition, we note that the data provided in the NODA appears to establish that an emission rate of 1.3 g/h is already being achieved by some sources in the source category using cord wood. The Alliance continues to support EPA’s proposed approach of allowing stoves to be certified with either crib wood or cord wood during the first phase of the NSPS, and to require certification with cordwood thereafter. In addition, the Alliance recommends that EPA continue to gather test data on cord wood emission rates for non-catalytic stoves over the next five years and consider revisiting the emission limits in the NSPS if additional data suggest that the NSPS should be adjusted for non-catalytic stoves. Finally, the Alliance has published a blog post that addresses a range of issues related to the data released in the NODA. We have appended this post to these comments and request that EPA consider it along with our other comments as it finalizes the Proposed Rule. Standards of Performance for New Residential Wood Heaters, New Residential Hydronic Heaters and Forced-Air Furnaces, and New Residential Masonry Heaters, Notice of Data Availability, 79 Fed. Reg. 37,259 (July 1, 2014) [hereinafter “NODA”]. See Proposed Rule, 79 Fed. Reg. 6,329, 6,367 (Feb. 3, 2014). Alliance for Green Heat, July 15, 2014 - On July 1st, the EPA released a NODA – a Notice of Data Availability – consisting of data from 3 stoves tested with cordwood and 106 stoves tested with crib wood. according to the Valley News. The NODA is a vehicle for letting people know the EPA is relying on this evidence to make their final rule, so parties won’t be able to say that the agency surprised them, in violation of procedure for issuing new rules, if the EPA cites it. The NODA also provides stakeholders a chance to dispute the additional evidence since it was not available at the time the rule was proposed. The fact that EPA has published this data and the NODA in the federal register now allows EPA to rely on this data for the final rule. It is likely that HPBA will publicly respond and a number of manufacturers and agencies are also planning on responding. This NODA lays a better legal basis to withstand a potential lawsuit from the hearth industry and also gives more insight into what final emission standard the EPA is able to set. Many in industry claim that the EPA does not have sufficient data to set an emission standard based on cordwood. And some manufacturers have data but are not sharing it with the EPA in an attempt to prevent the EPA from establishing a cordwood emission standard. This new cordwood data shows that some catalytic stoves can already meet a 1.3 grams per hour standard with cordwood. However, the non-catalytic stove performed far worse with cordwood than it did with crib wood, with grams per hour of 4.2 on the Category IV burn, 11.7 on Category III and a whopping 39.9 on Category II. The stove was not able to burn at Category I, the lowest air setting, either with cordwood or in the crib wood certification test. Among the 63 non-cat stove tests released by the EPA in the NODA, only 8 of them could be tested at Category 1, the low burn rate. It is is unclear how many of these 63 stoves can be operated by the consumer at a lower burn rate than they were tested at in the lab. The HPBA campaign to raise the minimum burn rate from 1 kg/h to 1.15 kg/h could have significantly added to the problem of stoves not being tested the way consumers often use them. The data partially confirms what industry has been arguing – that it's still too early to set a cordwood standard for non-cats. Firstly, there is too little publicly available data, and, even if the standard remained at 4.5 grams per hour (but with cordwood), manufacturers may not be able to make non-cat stoves that qualify. The incredibly high emissions from this non-cat stove could be a factor in leading the EPA to postpone a cordwood certification standard. Presumably the EPA would require cordwood testing over the next 8 years and possibly make cordwood certification optional, while continuing to rely on crib certification. The data also partially confirms what many air agencies have been saying: that some stoves can readily meet a 1.3 grams per hour standard, which is all that is legally required by the EPA to meet the best available technology test. At the core of this issue may be the decision by EPA, not contested by HPBA, to set a single standard for cat, non-cat and pellet stoves. There is data to show that pellet and cat stoves can meet a 1.3 standard now, but without separating them, the non-cat stoves may delay reaping the low-emission benefits of those technologies. Some manufacturers, such as Jotul, initially argued that cat and non-cat standards should be delinked, but others were against delinking, including the Catalytic Hearth Coalition. 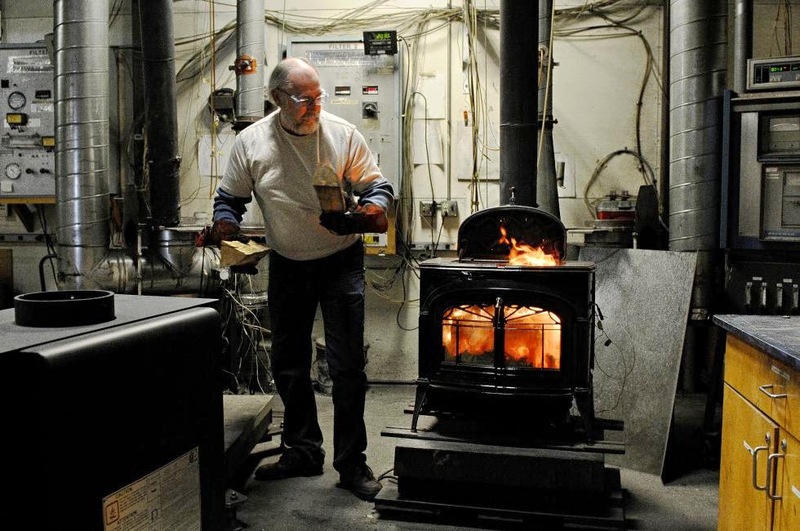 The Alliance for Green Heat and a few others argued for a separate category for pellet stoves. The internal politics and public rift within HPBA over this issue contributed to the industry association remaining silent on the issue of single or separate standards for cat and non-cat stoves. Only time will tell if this is a successful legal strategy. An attorney who specializes in NSPS law and is familiar with this case says that "the EPA could, in theory, set a legally defensible emission limit for both cat and non-cat stoves that relies on emission rates that are achievable by catalytic stoves but that may not be achievable by non-cats. EPA can’t require a specific technology under section 111, but it has the discretion to set the emission standard at a level that has only been achieved by one type of technology. I suspect EPA would probably win on this point if challenged, however at this early stage, such predictions are still very speculative. Ideally, there will be more data points than just 2 stoves, but I don’t think that’s going to be fatal to EPA, especially if industry isn’t willing or able to produce cordwood test data contradicting EPA’s data." Woodstock Soapstone voluntarily provided full cord and crib wood test results to the EPA, something that perhaps no other stove manufacturer did during the NSPS process. Woodstock Soapstone is one of the few stove manufacturers that is not a member of HPBA and thus does not follow their advice and guidance on sharing information with the EPA and what positions to take on contentious NSPS issues. Woodstock Soapstone's stove showed a very notable consistency in emissions of grams per hour between cord and crib wood. Certification tests using crib wood produced between 0.3 and 1.3 grams per hour for the four burn rates. R&D testing in the manufacturer's lab with crib wood produced 0.4 and 0.5 grams per hour and between 0.5 and 0.8 grams using cordwood. Similarly, the stove showed high levels of consistency in efficiency between cord and crib wood and the certification lab and the manufacturer’s lab. Crib tests were between 74 and 84.5% efficiency HHV, and between 74.2 and 82.3% for cordwood for all the burn rates. The stove produced between 0.3 and 0.8 grams per hour for cord wood for Category I and IV. A second Category IV test came in at 0.8 as well. One notable result is that this popular non-cat had three very reproducible emission rates over a 3-day period. On Cat IV, the stove produced 4.2 grams per hour on May 19th, 4.1 on May 20th and 4.3 on May 21th for an average of 4.2. Reproducibility fell apart on Category III, with burns over 5 days producing a range from 6.4 to 17.4 grams an hour, for an average of 11.7. Category II had slightly better reproducibility when the stove was smoldering at very high rates of particulate matter. It produced 36-48 grams per hour over 4 days for an average of 39 grams per hour. The high emission rates may partially be the result of fuel where the core moisture content was sometimes above 30%, although an average of core and shell was always below 25%. The stove was also tested with very high moisture content fuel of 48.4% moisture content on a wet basis. Brookhaven found that particulate emissions were extremely high: 50.6 g/hr over the run, and 11.8 times higher than the average emission rate with the drier test fuel in Category IV. The data on the 106 stoves released in this NODA consisted of EPA approved lab certification test reports conducted since 2009. None of them contained any data about cord wood, but this data set may be extremely important if the EPA decides to continue using cribwood to certify wood stoves in the 2015 NSPS. Analysis of this data set could form the basis of Step 2 emission standard that is considerably below 4.5 grams per hour. Some experts expect that the EPA may ultimately designate a standard between 2.0-2.5 grams per hour that would likely take effect in 2020. This data set also contained efficiency numbers that had not been reported anywhere before. A great majority of these stoves are presumably still on the market. The average HHV efficiency for non-cats and pellet stoves were exactly the same: 71%. Cat stoves had an average efficiency of 79%, but the sample size of 3 stoves was very small. This data set confirmed previous data sets, that the efficiency range of pellet stoves is far wider than wood stoves. These certified pellet stoves ranged from 62 to 80% efficient with a standard deviation of 8.5, double the standard deviation of non-cats and four times the deviation of cat stoves. Some pellet stoves on the market have efficiencies as low as 40% and are likely to be uncertified models. The Alliance for Green Heat will be releasing a separate analysis of these 106 stoves that also shows the correlation between efficiency and emissions. The EPA is soliciting comments on this NODA before July 31. To comment, click here. Click here for a related story summarizing comments to the EPA about the proposed regulations. 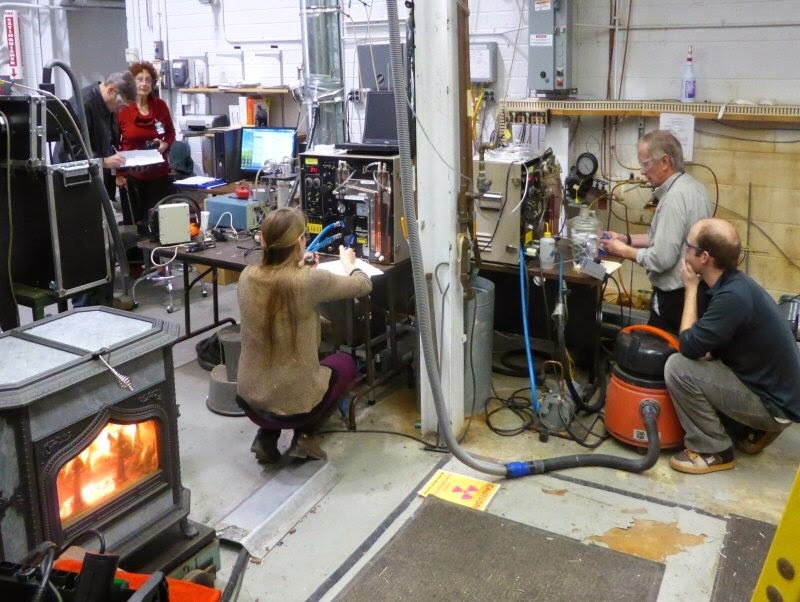 Seven companies with automated wood stoves have been selected to be part of a collaborative workshop at Brookhaven National Lab this November. The goal of the workshop is to explore how automation can be both affordable and effective. See photos, diagrams and short descriptions of each of the 7 stoves here. Stove emissions are the result of three equally important factors: the stove, the operator and the fuel. EPA testing and the NSPS focuses mainly on the stove, but excessive emissions also result from poor operation and unseasoned fuel. Automated stoves can tackle all three of these factors, resulting in emission improvements beyond what the EPA can currently assess. The seven automated stoves are made by ClearStak, Kleiss Engineering, MF Fire, Flamekeeper, Wittus, Hwam and Aprovecho Research Lab. Some need an electric outlet, some make electricity, some use oxygen sensors and all are unique and innovative. “This workshop is designed to enable participants to study affordable automation techniques and see which work best,” said John Ackerly, President of the Alliance for Green Heat. “If the EPA settles on a number at 2.5 grams or less in the NSPS, these technologies may also offer affordable and reliable solutions,” Ackerly added. The Organizing Committee includes John Ackerly-AGH, Ellen Burkhard-NYSERDA, Tom Butcher-BNL, Prof. Phil Hopke - Clarkson University, Craig Issod-founder of Hearth.com, Mark Knaebe-Forest Service, Ben Myren-Myren Consulting, Rob Rizzo- Mass. Dept. of Energy, Norbert Senf - Masonry Heater Association, Dean Still-Aprovecho, Rod Tinnemore-WA Dept. of Ecology and Rebecca Trojanowski-BNL. Because of space limitations, only about 50 people will be accepted to participate in the workshop. Participants will be selected based on experience, not on a first come, first serve basis. The workshop is from November 4 – 7th and held at Brookhaven National Lab in Upton New York, about an hour and a half east of New City on Long Island. The Workshop is the second chapter of the Wood Stove Design Challenge that kicked off last year on the National Mall with the Wood Stove Decathlon. An updated version of one of the stoves, the MF Fire designed by University of Maryland graduate students, competed in the 2013 Wood Stove Decathlon. Wittus and Hwam also competed in the Decathlon and are bring updated versions of their stove. ClearStak consulted with a number of teams at the Decathlon. As of December 2016, a number of automated stoves have entered the market place, including one that competed in this challenge.